Today is the Day of Digital Archives, and I’m really pleased to be reporting on our experience preserving digital archives here at Rare Books and Special Collections! For the uninitiated, preserving digital archives is extremely challenging because of rapidly changing technology and the relative fragility of digital records- this is why a number of archivists have set aside a day to share experiences and get the word out there. You can check out the main Day of Digital Archives blog to read posts from other archivists, or follow the activity on Twitter using the hashtag #DayofDigArc. All of the archival collections that we acquire here at RBSC come from external sources, usually donated to us by the person or organization who created the records to begin with. Almost every living creator of archives who I interact with is creating records in a digital form and in many cases, at least some of these records never become paper- this is what archivists call born digital records. So what is an archivist to do? There has been a lot of research in this area, and tools developed, but as a whole the archival profession is no where near as experienced with digital records as we are with analogue records (paper, photographs, etc). 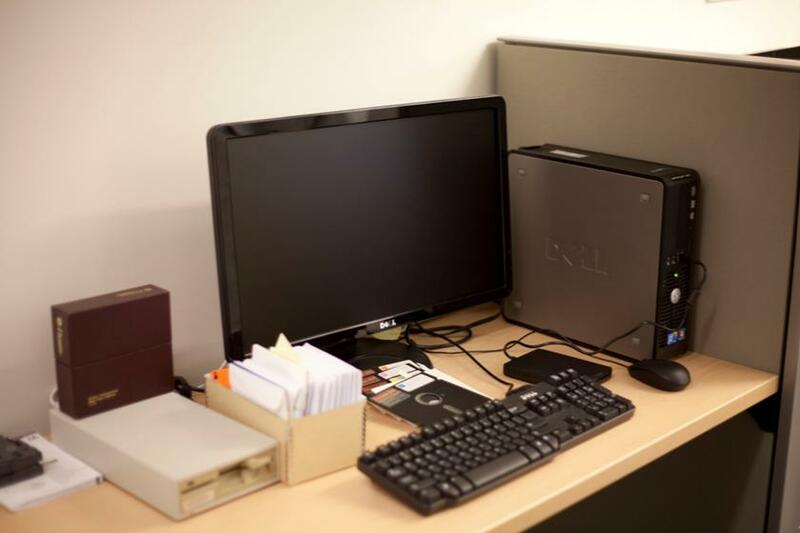 Here at RBSC we have been fortunate enough to partner with our Digital Initiatives unit, who are also very interested in digital preservation because they want to safeguard all of the digital material they create through digitization projects, and that comes to the library through cIRcle, our institutional repository. The Digital Initiatives Unit contracted local software development company Artefactual Systems to help us through this problem. We’re in pilot testing now- you can read a report on their website about our progress so far. We have acquired material over the years on external digital media- floppy disks, optical disks, and as a recent development in our pilot project, an external hard drive. 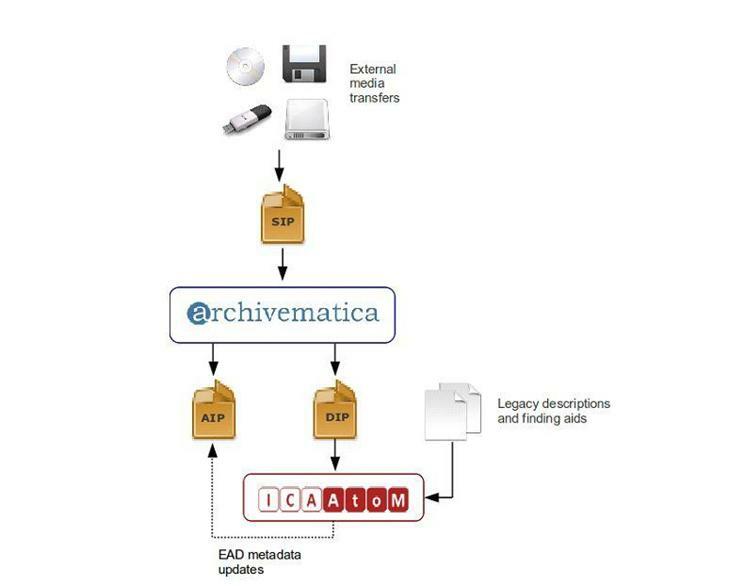 We are using Archivematica open-source software as the central piece in our digital preservation system. It uses a number of micro services and follows the OAIS model to create a submission information package (SIP) from the external media; stores away an archival information package (AIP) using preservation-friendly formats and the original format (packaged with metadata about the records as well); and creates a dissemination information package (DIP) to create access copies for researchers to use. We’re using ICA-Atom software as our access system, and will be moving all of our archival finding aids into that system soon, so there will be a “one stop shop” to search for archival material in both digital and analogue formats. This diagram makes the whole process look incredibly simple. The devil is, of course, in the details. We have had our fair share of technological and intellectual challenges along the way, and we’re still overcoming a lot of them now. The future of our born-digital acquisitions is very much at the front of my mind. Probably 90% of my work as an archivist is still in the analogue realm, but over time that will shift. I would anticipate that at some point in the future, most archival acquisitions we make will be born-digital, or a hybrid of analogue and born-digital. Some archives employ archivists with the title “Digital Archivist” who are tasked with managing born-digital acquisitions exclusively- I wonder if someday the “digital” part of the title will just be considered redundant! Most of our analogue archival processing at RBSC is performed by students from the School of Library, Archival and Information Studies. How do we integrate them into our workflow for digital processing as well? We are making a fantastic acquisition 0f born-digital images from a photo journalist (stay tuned!). The photojournalist is extremely organized and embeds descriptive metadata into all of his images. How can we leverage this metadata and make it available to researchers? Part of our pilot project has been to process digital media donated to us over the past number of decades, including 3.5″ and 5.25″ floppy disks. The processing is extremely time consuming. Would it be more efficient to out source some of this work? The transfer or licensing of rights in born-digital material is very different from analogue material. How will born-digital acquisitions change the way that we think about the intellectual property of our archival donors and creators? Read this report from OCLC on First Steps for Managing Born-Digital Content Received on Physical Media. It is a really straight-forward outline of how to get started and promises that you will be able to sleep at night if you follow their advice! Find partners in your institutions who might be interested in digital preservation goals. This might be a digital initiatives unit, an institutional repository, or the IT department. Talk to local colleagues in your area- maybe there would be interest in sharing experiences and ideas. We’d love to hear your comments and perspective on digital preservation issues- please leave us a comment below! Our born-digital processing station. Note the 3.5″ and 5.25″ floppy drives. A reminder that Rare Books and Special Collections, University Archives and the Chung Collection will be closed for Thanksgiving on Monday October 8, as are all branches of UBC Library (the Irving K. Barber Learning Centre will be open, but library operations will be closed). 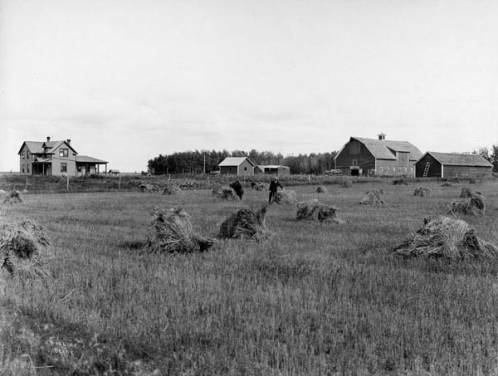 Because the Chung Collection covers the operations of the CPR so well, and the CPR was heavily involved in colonizing farm land in Canada, it is a great resource for researching the history of agriculture in Canada. Try using the advanced search and trying keywords such as “farm,” “agriculture,” and “colonization.” You can narrow your search using the type of media, dates and more.